GoPro’s video prowess has already been well documented, but its latest video shows just how much the brand’s products market themselves, claiming this week’s No. 1 spot on the Adweek/VidIQ top 10 branded video chart. The camera marketer’s four-minute video touts the Hero4 camera and shows off sweeping landscape views in countries like Vanuatu, New Zealand, Greenland, Belgium and Japan. In one scene, viewers get a teetering look at a lava volcano on Vanuatu’s Ambrym. Another shot shows an iceberg climb in Greenland’s Ilulissat from the point of view of a climber. There’s also some interesting footage collected at the TomorrowWorld music festival late last month. GoPro’s video has been viewed 5.65 million times since it was uploaded on Sept. 29 and has accumulated more than 45,000 Facebook shares and 8,000 tweets—an impressive number given that the video doesn’t include a paid media push. 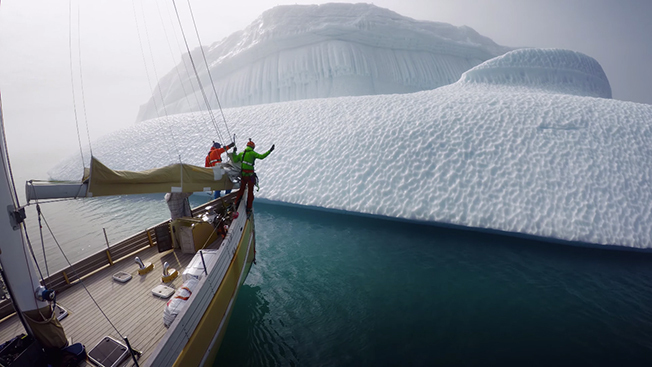 GoPro's clip is also new to the chart this week, as are four other videos—including new spots from luxury brands Cartier and Gucci. Interestingly, a video from Oracle’s OpenWorld 2014 conference from cto Larry Ellison grabbed the No. 3 spot this week. During the minute-long clip, Ellison (who recently stepped down as the tech vendor’s CEO) outlines a new cloud platform for marketers that people oddly can’t seem to stop watching. Since it was uploaded on Sept. 29, the video has been watched 4.39 million times. The interactive infographic below (powered by VidIQ) lets viewers watch and check out the reach of all of this week’s top videos.